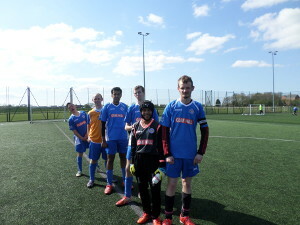 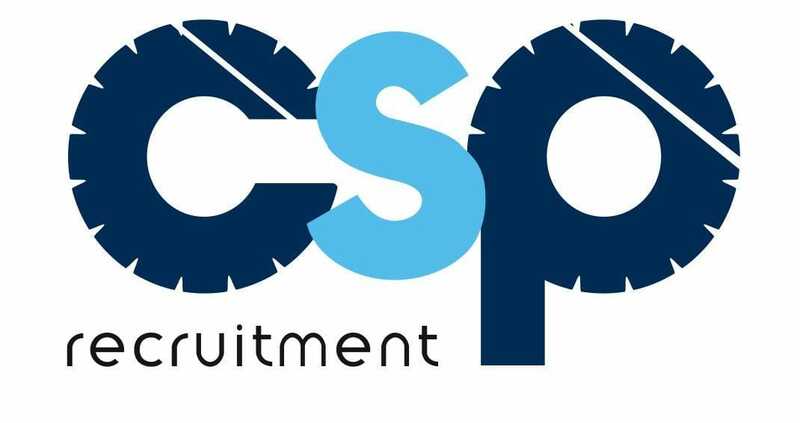 The People’s Cup saw Inclusive teams competing from across the Midlands – Leicester City Woodgate-3 teams, Mansfield Town- 2 teams, Harborough Town, Aylestone Park, Redditch Special Olympics, Delos S & L- 2 teams, Riverside and Oakdale. 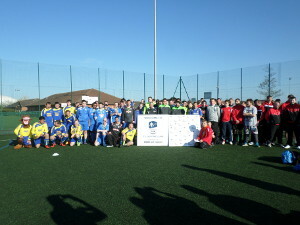 The Three Leicester City Woodgate Teams, all played brilliantly in the Peoples Cup, our Leicester City Foxes team, captained and led by Jamie Hereworth, were in the 3rd place play off but lost out by 1-0 to Delos S & L, our Leicester City Woodgate Fosse Team, captained and led by Kyle Hereworth, again competed brilliantly and got through to a 4th place play-off but again just lost out by 1-0 to Redditch Special Olympics. .
Leicester City Woodgate team finished 2nd in their group to secure a semi final place against local rivals Aylestone Park, the game finished level after extra time, so a penalty shoot out took place and LCW won 3-2 in the penalty competition with Adam Mattock in goal saving brilliantly to secure the victory. 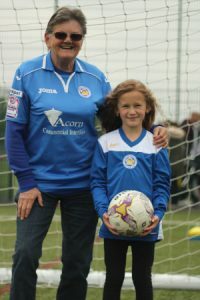 The Final of the Peoples Cup saw Leicester City Woodgate compete against Mansfield Town who they had lost to, by 2-0 in the group stages. 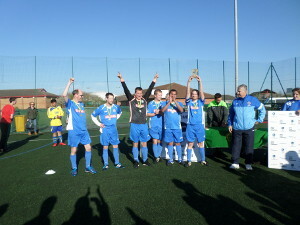 However the team, led by Captain, Martin Oswin made a brilliant start pressing forward and defending well, a well deserved 3-1 win saw Leicester City Woodgate lifting the Peoples Cup, a very proud moment indeed for the Club. 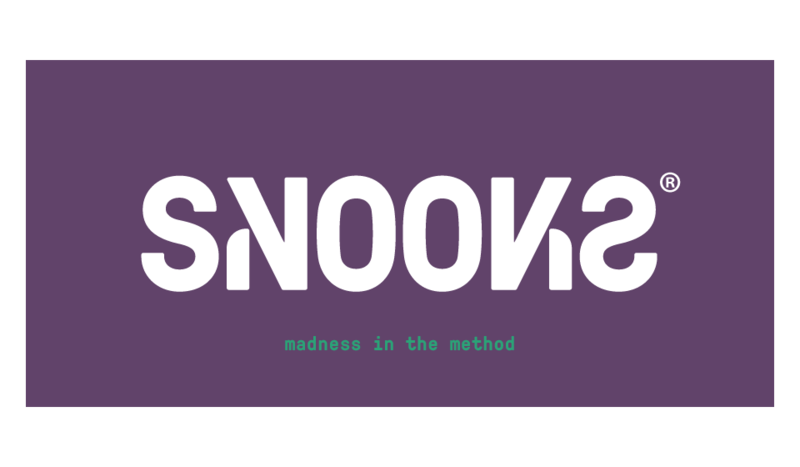 Winning Squad. 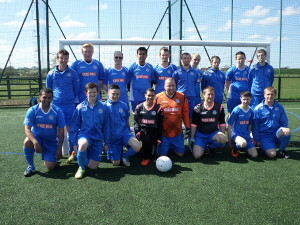 Adam Mattock (GK), Martin Oswin (Captain), Pavan Padam, Dave Codd, Dan Watson, Dean Baxter. 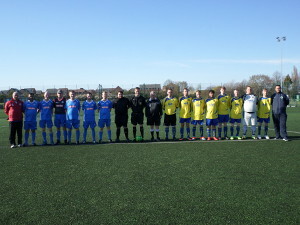 Congratulations to All players from the three Squads for showing Respect & Fair Play for All alongside being competitive and playing some excellent football, as individuals and as a team, it was a great day of Inclusive Football for sure and great to see some old faces from when our teams competed in the East Midlands League. 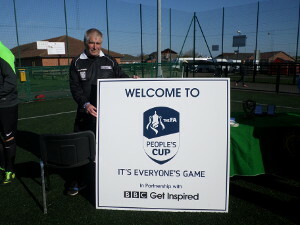 The Peoples Cup is a joint venture between the Football Association and the BBC and is part of the BBC’s ‘Get Inspired’ campaign, which encourages people of all ages to get involved in sport.